Tina talks about how much taller asters grow when they are in your garden as opposed to the ones in the garden center. Native Asters put on quite a show this time of year. 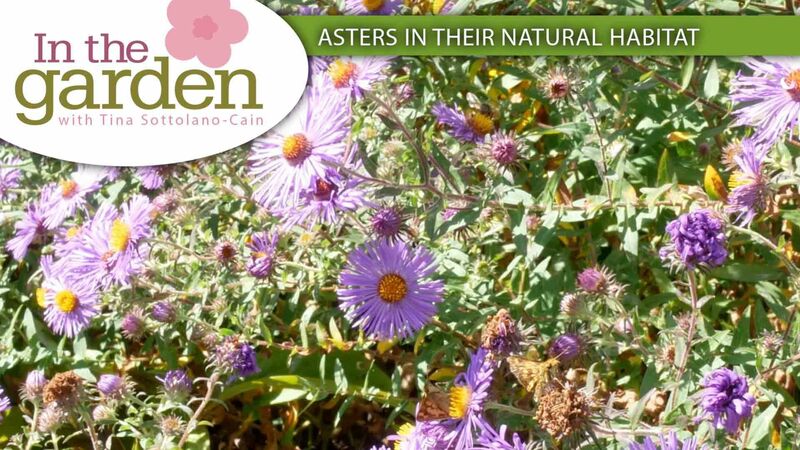 Seen along roadsides across the northeastern part of the country asters provide a bold pop of color When other plants and perennials begin to fade into the landscape. They are a staple in many perennial gardens and borders, with clusters of star daisy like flowers. Colors range from white, pink to hues of lavender purple and are at the forefront of fall gardens right along side mums, cabbage and winter pansies. 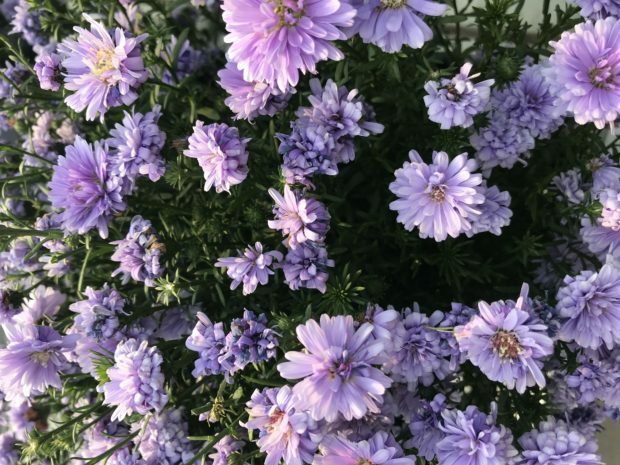 Aster novae-angliae also known as New England aster and novae-belgii, New York asters are North American natives hardy to zones 4-8 and commonly found in your local garden center typically beginning in late August through the fall. They are a key food source for pollinators and wildlife alike. Late blooming flowers, like asters provide a viable food source necessary to supply much needed energy for pollinators like the monarch butterfly and hummingbirds as they migrate southward. They are also a pollen source for bees as well, especially honey bees. In their natural habitat they look different than what you see in local garden centers. When grown commercially they are typically pruned twice during the summer months to encourage branching to maintain a certain height ranging from six to twelve inches to fourteen inches at the most. Wild asters can grow up to six feet in height without pruning. They flower effortlessly with a minimum of six hours of direct sunlight and are right at home in container gardens as they are growing in garden beds. Caring for asters are simple and similar to garden mums. The key is to plant asters in early fall to establish a healthy root system. They prefer full sun to partial shade. If grown in shady area of the garden plants tend to be leggy and will need to be staked. Asters are also drought tolerant and do best in well drained soil and can be susceptible to root rot if planted in heavy wet soil. First year plants don’t need to be fertilized heavily, once they are established begin fertilizing in early spring. Add organic compost around the base of the plants and use a balanced fertilizer monthly. Overall plants are relatively maintenance free and are seldom bothered by pests. Powdery mildew can occur but is no real threat to the plant. Spraying an organic fungicide early in the season can help prevent it.